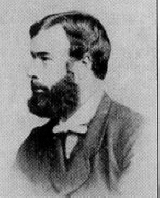 Francis Kilvert was a Victorian country parson and kept a diary from 1870 to 1879. He lived in Clyro, Radnorshire, and began keeping a journal about his day to day activities. He also served under his father, Revd. Robert Kilvert, in Langley Burrell, Wiltshire; was vicar of St Harmon's near Rhayader and, finally, vicar of Bredwardine, Herefordshire. The diaries are considered to be a minor classic and of significant social historical value. Francis Kilvert is currently considered a "single author." If one or more works are by a distinct, homonymous authors, go ahead and split the author. Francis Kilvert is composed of 11 names. You can examine and separate out names.